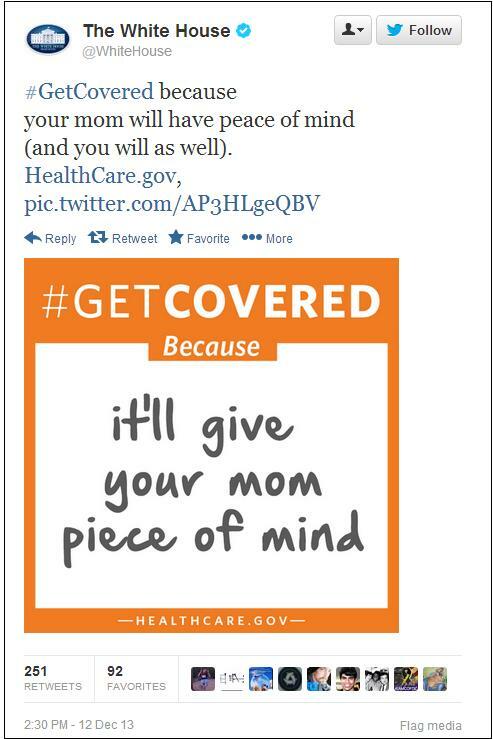 Obama White House: O-Care Will Bring Your Mom "Piece of Mind"
Piece be with you, too. This White House can’t even send out a tweet without typos and they want to control your health care. Conservatives had fun with this latest White House attempt to con Americans to sign up for the O-Care disaster.